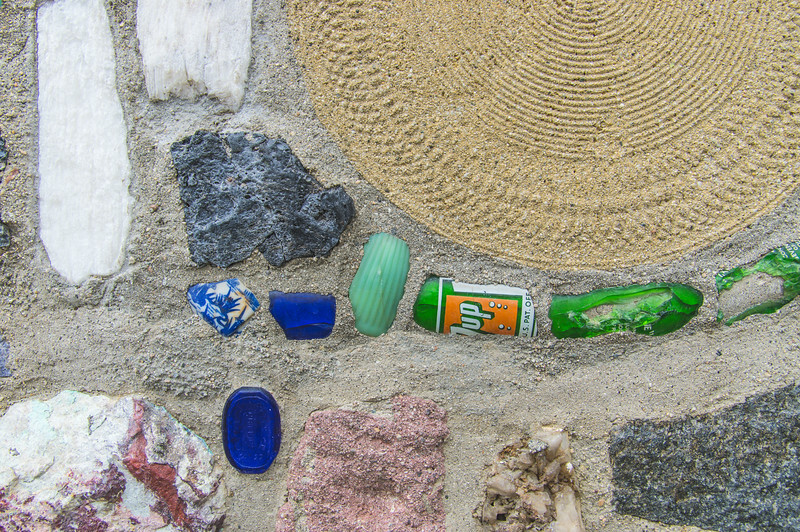 Visiting the Watts Towers had been on our to-do list since moving to Los Angeles. But, like most things in life, time passes and other plans take precedence. We put off visiting the Watts Towers for almost 4 years, something in hindsight I wish were different. 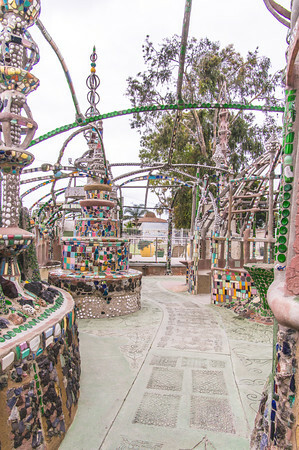 But we recently decided to check out the curiously creative Watts Towers in Watts, California. 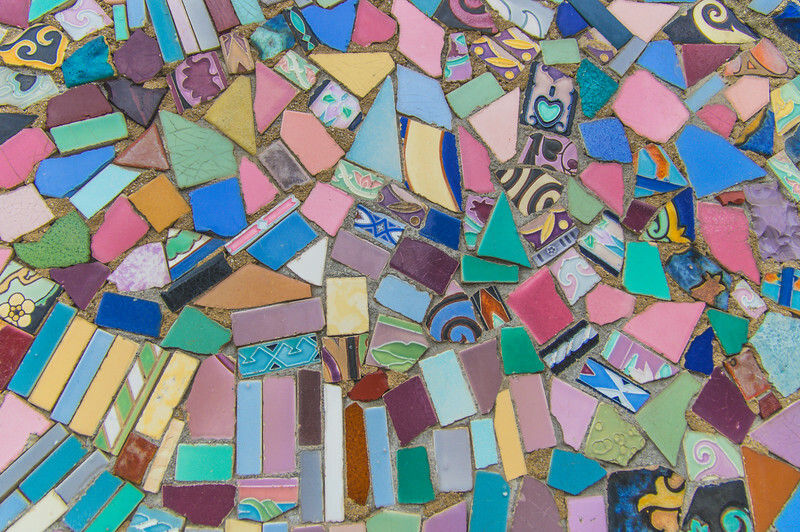 So, What are the Watts Towers? Great question! 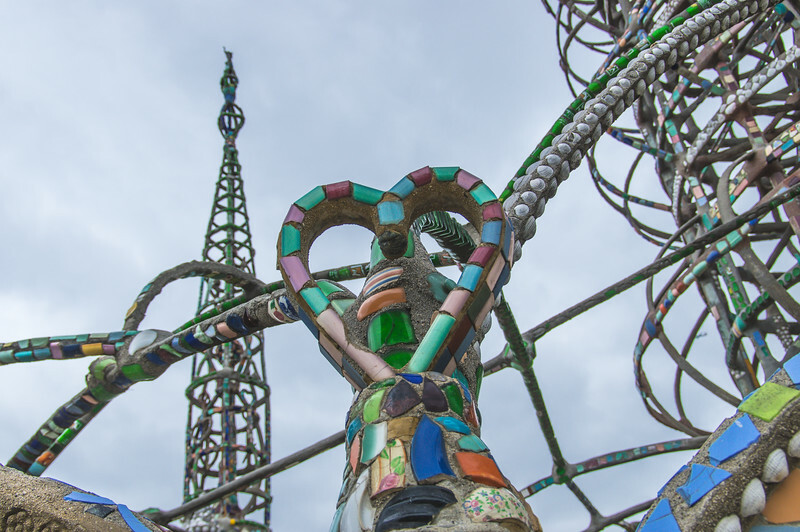 The Watts Towers are the masterpiece of an Italian immigrant, Simon Rodia. Built over the course of 30 years (1921-1954), the towers are his artistic expression of love for his home country, Italy. Made from all sorts of materials, the towers create an intricate network of outdoor spaces that mimic a ship. Located in South Los Angeles, the community of Watts is one of the oldest in the area thanks to former railroad lines. Although the neighborhood has a rich multi-cultural heritage, it's probably most famous for being the setting of the terrible race riots in 1965. The area has been, and remains today, under-served and overlooked in comparison to other Los Angeles neighborhoods. After their construction, the Watts Towers became somewhat of a beacon of hope and creativity in what some would say is a rather bleak story. 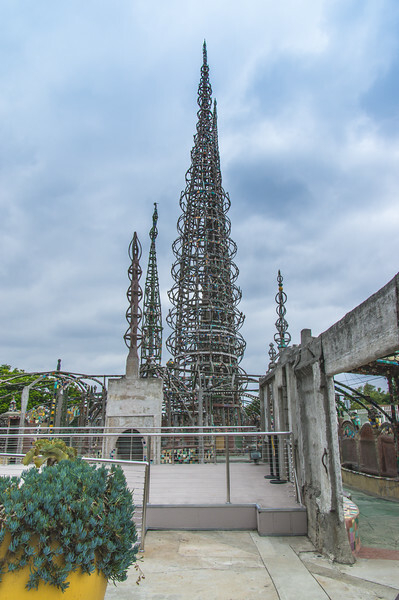 Watts and the curiously-crafted Watts Towers were the centers of conversation during our guided tour. Our very knowledgeable docent took his time to carefully explain how and why the structures were made. With over 17 spires, the tallest of which reaches 99½ feet, the Towers are formed by re-bar and concrete and decorated with a mixture of ceramic tiles, broken glass, sea shells and other household materials. The colors, shapes, and designs are mesmerizing. The Watts Towers were controversial in their time. As reported by our docent, the local government and neighborhood were opposed to allowing the structure to remain. In the 1950s local government pushed to demolish the towers out of concern for safety. With the help of a committee of supporters, the then-owners of the Watts Towers were able to convince the government that the towers were stable through a series of safety tests involving cranes and applied pressure. The towers were allowed to remain and were later granted local and state protection. Today, the Watts Towers are part of the California State Park and Recreation Department. They’ve also been reportedly designated as a US National Historic Landmark. The Towers are also now the home of the Watts Towers Arts Center & Charles Mingus Youth Arts Center, a cultural center dedicated to promoting the art and music of the local community and to enriching the lives of local youth. The Center promotes arts and music through a series of exhibition and events, including the annual Day of the Drum and Jazz Festival. The Center also provides local residents with a variety of workshops and classes aimed at encouraging creativity and well-being. When we finally visited we were delighted by the temporary exhibition of a rich collection of works by various young African American artists. The works were moving, some highlighting the economic and racial disparities of our current times. One of my favorite pieces was a photograph featuring a young woman superimposed into a photo of one of her ancestors, who she reported was a former slave. Seeing the young woman in her modern clothing seated across the table from her ancestor was stirring and thought-provoking, to say the least. Visiting the Watts Towers and learning more about Mr. Rodia's story were equally moving. You're instantly struck by the magnitude and size of the structures. The amount of dedication and passion needed to create the Towers is mind-boggling. 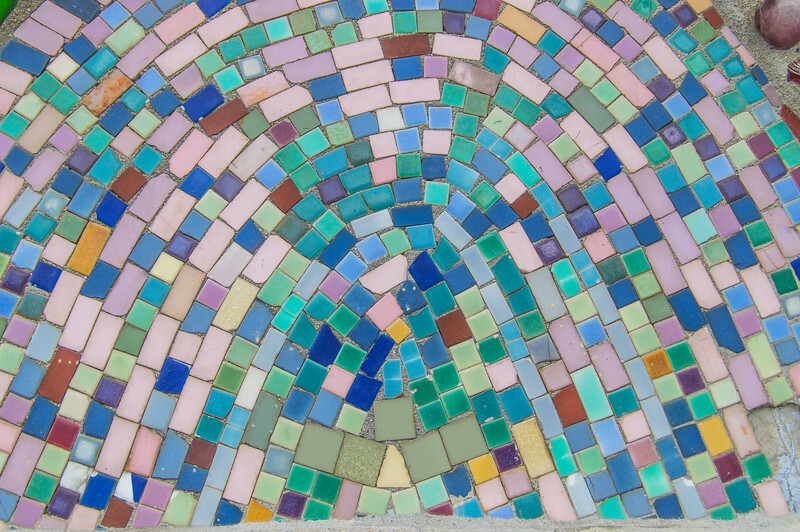 Many artists work for days or weeks on a project; Mr. Rodia worked on his Watts Towers for 30 years, sacrificing his time and relationships (according to our docent), in the process. His artistic expression is evident from the moment you pull up to the parking lot. Towering over the adjacent buildings, the Towers were Rodia’s effort to “create something big”. Standing in the shadow of the towers you can see his vision for the project. 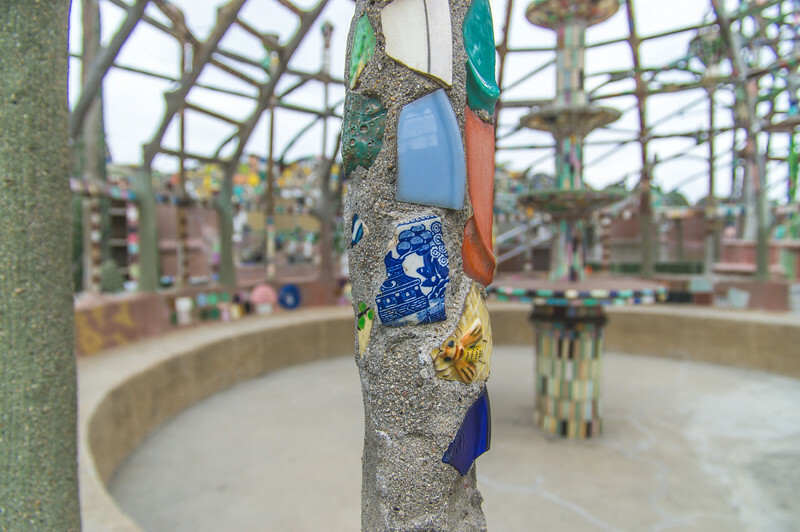 Visiting the Watts Towers is a great example of the type of locals-only things to do in Los Angeles. The small fee ($7 pp) is totally worth your time and money. Hearing the history and message behind the Towers enriches your experience, so opt for the docent-led tour. Be sure to explore the adjacent arts center while you’re there. That architecture is so beautiful! I love all the colours!! Thanks so much, Cynthia. NOLA is a really colorful place, people included. Have you ever been? The Watts towers are so cool! I missed out last time I was in L.A. but I love the story behind it and especially that it was a source of hope for many. I will definitely be visiting this on my next trip out to Cali! I’m sorry you missed them, too! I think many people miss them out of concern for the location. It’s a shame, too. The artistic work here is incredible. I hope you get to visit soon.